Ask any IT expert and they'll tell you that having the right credentials can make or break your chances at landing a position in the tech sector. The MCSA: Windows Server 2016 certification is one of those credentials, and having it validates your ability to administer networks and reduce IT costs, opening the door for work as a computer systems administrator, or computer network specialist. The Lifetime MCSA Windows Server 2016 Bundle can prepare you to ace its exams on your own time, and it's on sale for $29. 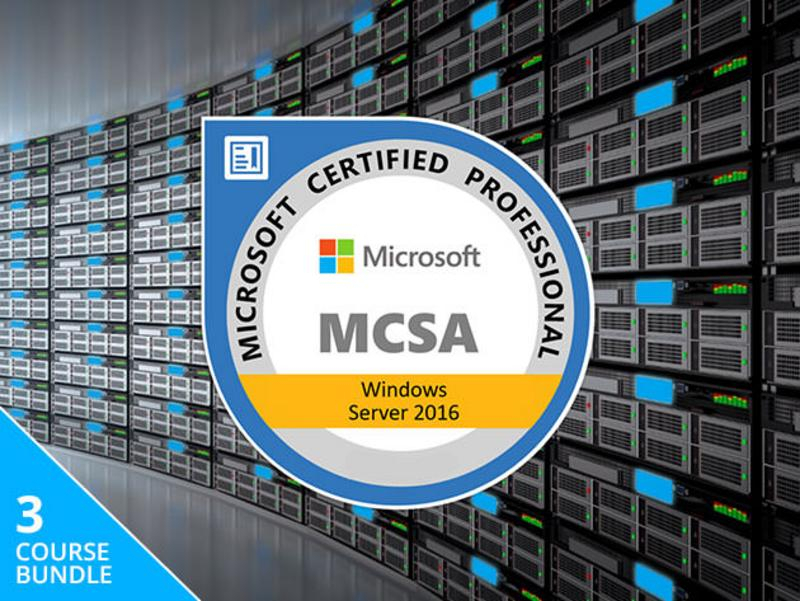 This three-course collection boasts more than 60 hours of training designed to help you pass three exams for the MCSA: Windows Server 2016 certification: 70-740, 70-741, and 70-742. This training will familiarize you with key concepts such as installation, storage, and computing with Windows Server 2016, as well as networking and directory domain services, and much more. Normally retailing for $999, the Lifetime MCSA Windows Server 2016 Bundle is available to TechSpot readers for $29.